The audiobook is a recording of a narration of a book. A reading of the complete text material is called an ‘Unabridged book,’ where the reduced reading of the text is called ‘Abridged version.’ You can find Audiobooks in many forms nowadays. You can record, and convert Audio-books within your music devices, Pen-drives or even smartphones. However, you do not have the pleasure of reading a book which remains an exclusive experience. Having said that, Audiobooks are a welcome option in seeking information and knowledge in these times of no free time. You can just load an Audio-book, plug your headphones in, and keep listening to the story or novel with no disturbance. You can also play and pause them as you wish, and even share them with friends. The audiobook is a great alternative to having in a busy life. Also, you can now enjoy Audiobooks from within your Kindle device as well. You can now easily listen to Audiobooks within Kindle, as an interactive material. Also, the major benefit you have with audiobooks is that you can switch between reading an eBook and listening to it. You can use your Kindle account as well, to get Audiobooks on your device. Firstly, You need to create an Amazon Audible account which helps you browse through Audio titles. You can log-in with your Amazon login details as well. However, you might require an Audible account for using it in devices other than Kindle. Visit the following link to browse, select and get your Audiobook on to your device with the help of sync option from your account. The link is Amazon Audible (https://www.amazon.com/audible). Once you login into the Audible portal, you will be given an option to either ‘Try’ the service for a while (mostly a month) or subscribe to its service. However, if you click on buy the Audio-Book, then you shall need to pay for it fully. In the above case, if you are in the membership period, you can get the title ( of Audiobook) at a lesser price than normal. You get extra benefits for being a member for Audible. Also, You can enroll in the membership and receive ‘Audible credits‘. Thereby, you can use these to actually buy the books in the future. Also, with every purchase you get a certain number of ‘Audible credits‘ in your account. You can also get into Audible Prime program which enables you check for discounts, pre-orders and gives you many other options. 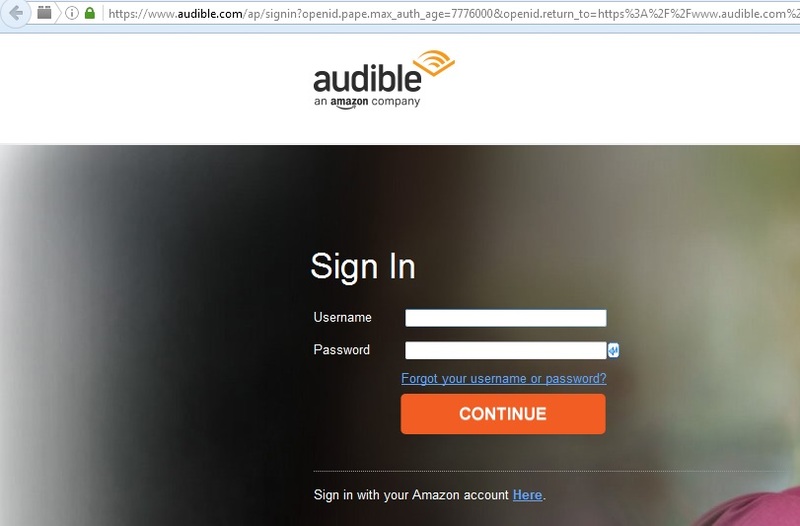 If you have an Audible account already, you can use it to attach your Amazon account with it. You shall need to follow the below steps actually to manage your content through Amazon Kindle. Thus, this allows you to use Audible credits on Amazon purchases. Firstly, you shall need to visit this link to link your Audible and Amazon accounts (https://www.audible.com/acc-merge). Sign into the page, by giving Amazon account login details. If you don’t remember the username and password, you can use the ‘Help‘ or ‘Forgot Details‘ button on the login page. To complete the merge, you may need to enter your payment method. Therefore, you shall need to select the type of card you want to use. If you are using a pre-paid membership for the same, you may enter those details as well. After confirming your purchase details and billing address, you will use Amazon and Audible accounts successfully. You can see your Audible books automatically sync into Amazon account. This is useful because now, you can control your content over Kindle devices. To do so, you can visit the ‘Manage Your Devices And Content.’ Once here, you can control where you need your Audio-books to appear. What are Prime-exclusive audio channels? Install Audible app in your mobile from either Play store or Amazon Android store. Run the application, and you need to navigate to the top left menu, You shall find the menu item which says, ‘Channels’ inside navigation menu. Go to the Featured tab and scroll down to the section that features “INCLUDED WITH PRIME” and tap View all Included With Prime. Tap on a channel and tap any of the Prime-exclusive audio-books to begin streaming them from your device. You can also tap Browse All Channels, followed by Audio-books to see the Prime-exclusive audio-book channels. However, you need to note that Audible Prime is only available for iOS, Android, and Windows 10 devices. That is to say; you may not find these options within Linux loaded systems. The major use of Audio-Books is that you can listen to them whenever you want. You can carry them as eBooks in your Kindle and listen to them, without getting distracted by others. Additionally, you can be less occupied by listening to eBooks. It is a proven fact that people who listen to audiobooks, usually have an excellent command over the language. Hence, you can also learn the nuances of pronunciation while listening to them. You can relive the traditional way of storytelling. Therefore, it is easier to retain the content of the book when you listen to it. Many authors take to reading the audio-books by themselves. This is a great way of interacting with the mind behind the story and understanding the subtleties of the material. Also with an excellent narration, the story helps you build a more vivid imagery of the universe that the book is set in. Also, you can quickly become a part of the book without much effort. With the new evolution of eBooks, an average reader gets a high number of options as with regards to medium and content. You can opt to download and read your eBooks on all your reader devices. Also, you can also take up on Audiobooks, which are the new way of consuming content. If you are a publisher and are looking actually to make audio-books or mixed content enhanced eBooks, then you will find that our publishing services fit your needs perfectly. We provide unparalleled eBook conversion services which help you as a publisher to bring out your work in the most optimum way.